Situated on a mountain surrounded by pine trees, the Eagles Nest Hotel Pefkos is one of the best places to stay. The rooms in the hotel are suitable for couples and families with innumerable facilities. There is a marvellous swimming pool, where guests can enjoy a swim and relax on the sun loungers dotted across the pool. Children too can have endless fun in the children’s swimming pool. The dining and drinking facilities in the hotel are fantastic, which will surely delight foodies. The beach is approximately 700m from the hotel, making it convenient for beach lovers and water sports enthusiasts alike. All these facilities make the Eagles Nest Hotel Pefkos a very delightful place to spend your holidays. 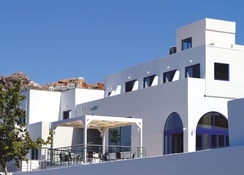 Eagles Nest Hotel Pefkos is a situated in a privileged area in Rhodes, Greece. There are many bars and restaurants close to the hotel, where you can explore many more local as well as international specialties. The Rhodes International Airport is about 60km away from the hotel. 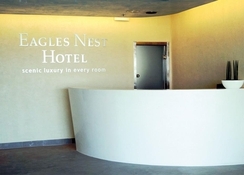 The spacious and comfortable rooms at the Eagles Nest Hotel offer marvellous views of the coast and swimming pool. Whether you are a solo traveller, couple, family with children or with a group of friends, you will definitely find something suitable, as the hotel offers rooms in numerous categories that include luxury deluxe room, premium luxury suite and eagles nest royale’ suite. Exquisite flavours, textures and a wide-ranging dishes and drinks describe the restaurants and bars in this marvellous hotel. You can have your meals at the main restaurant, besides other restaurants and bars. In addition to this, there is a Sunset Cocktail Bar on the Rooftop. The hotel’s professional and friendly staff members help you with food suggestions and recommendations. Guests can also take advantage of the in-room food & beverage service. 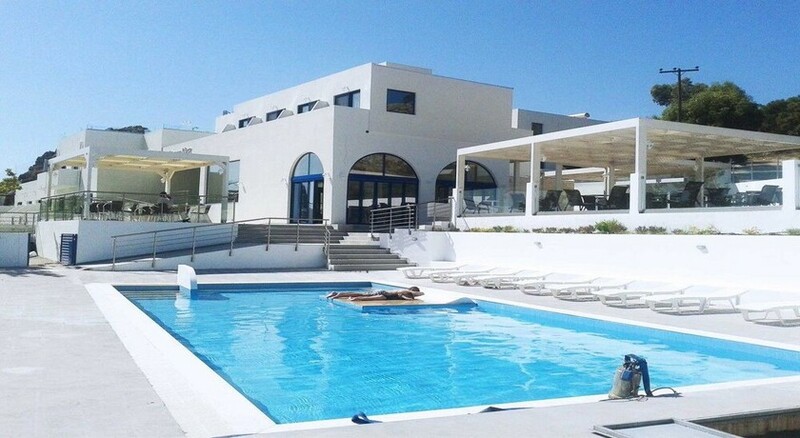 The hotel is located a few minutes from the beach, where you can enjoy water-sports such as windsurfing or kayaking, or simply soak up the sun. Within the hotel there’s lots to do, with a swimming pool, children’s swimming pool and much more. If you want to explore the area at your own pace, then you can take advantage of the hotel’s rental car of bike service. There are many sport clubs near the hotel that is surely some good news for the sport enthusiasts. The rooftop cocktail bar allows guests to have a relaxing drink after a long tiring day. Another return, staff all excellent, room, super view and size. Fresh food as ever.